Repealing the Affordable Care Act's individual mandate would reduce the federal deficit by $338 billion in the next decade, according to a projection from the Congressional Budget Office. The individual mandate requires that Americans purchase health insurance or pay a penalty to the Internal Revenue Service for not having coverage. A recent Taxpayer Advocate Service report found that roughly 4 million Americans paid an average penalty of about $708 this year for a total of $2.8 billion. The budget office predicts that eliminating the mandate would reduce the deficit by $338 billion from 2018 to 2027 and would decrease the number of those with health insurance by 4 million in 2019 and by 13 million in 2027. Even with this loss, the report says that markets would remain stable in almost all areas of the United States over the next decade. "We're seeing with the CBO report that repealing the mandate would reduce the deficit by nearly $340 billion over 10 years," says Sally Pipes, president of the Pacific Research Institute. "The report estimates that by 2027, about 13 million fewer Americans would enroll in ACA-compliant plans." "What's great news is that if the mandate were repealed, most markets would remain stable," she said. "That's significant for the millions of Americans who would become free to purchase other health care plans that are better fits for them and their families." The budget office also projects that premiums would increase by about 10 percent over the decade but says this is due to healthier individuals choosing not to purchase health insurance. "The individual mandate is one of the most unpopular Obamacare-era regulations—and it's largely been a failure," Pipes said. "Not as many Americans are insured in the Obamacare insurance exchanges as originally projected, and premiums have skyrocketed since 2013." Pipes says it's disappointing that neither the Senate nor the House has included the mandate repeal in the most recent versions of their tax reform bills. "However, it could—and should—be added to future versions," she said. 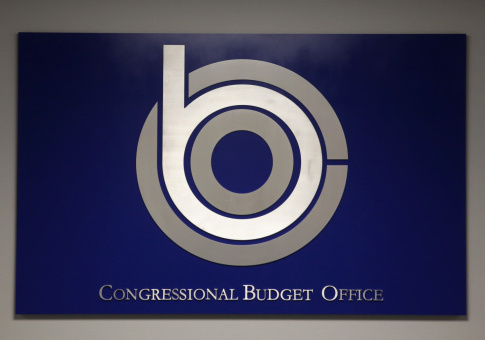 "I'm hopeful that the CBO's report will help accelerate the process of getting rid of the mandate. It could also be done either through Sens. Tom Cotton and Pat Toomey's Mandate Relief Act, or an executive order from the president. With that said, I don't think it can be fully repealed through an executive order." This entry was posted in Issues and tagged Health Care, Individual Mandate, Obamacare, Tax Reform. Bookmark the permalink.